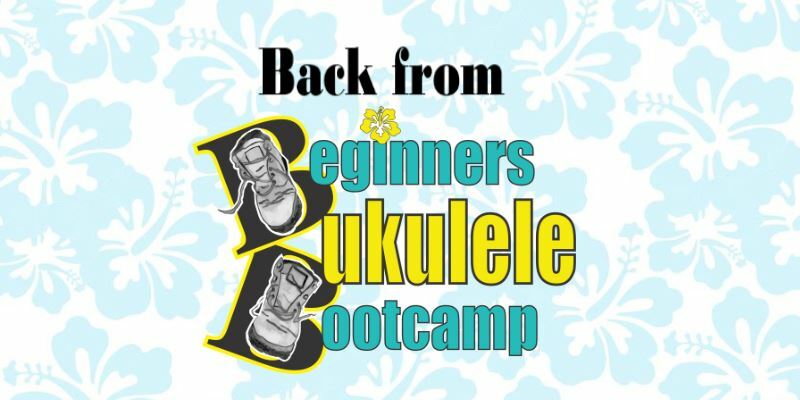 Our first Beginners Ukulele Bootcamp for the year was held on 13 & 20 March 2019. The March Beginners Ukulele Bootcampers hard at work. Here’s what one of our enthusiastic Bootcampers, Eva-Maree Matson, had to say about the course. So glad I attended Beginners Bootcamp! After struggling through countless YouTube sessions at the beginning of my uke journey, it was pure pleasure to be part of a group learning session led by patient and knowledgeable teachers, Keryn, Julie and John. The course is really well set out, and the setting is relaxed (you do not feel pressured at all). You’ll surprise yourself, as I did, just how much you can take in if you apply yourself. And it’s such fun too with everyone playing along together! You’re sent the course notes after attending, and I found that really helpful to reinforce what I had learnt during the session. So handy to have to refer back to as well. I am not familiar with reading sheet music, timing, and beats etc, but Keryn and Julie explained the basics to us simply and clearly, and gave excellent tips for smoother chord progressions. By the end of the second session you’ll be equipped with a bunch of chords to take you through quite a few songs. 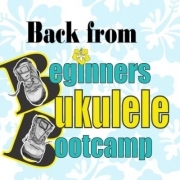 After such an enjoyable learning experience, I would recommend Beginners Bootcamp for anyone looking to make a strong start on the ukulele.